Hi everyone! I just wanted to give an update regarding the fellowship I got that was in Italy this summer. Unfortunately, with the recent surgery that my mom had to undergo, and the fact that the internship was $6,000+ with the deadline being in a few short weeks... I will not be following through with it. BUT, I will be going to Los Angeles, California for almost a month and a half from May-June this summer. I will be doing a fellowship through Cedars Sinai hospital with various general surgeons for a month and then for about 2 weeks shadowing a plastic surgeon! All the money that I earned from the previous fellowship in Italy will all go towards paying for the fellowship in Los Angeles which is around $3,000. Thank you so much to everyone who donated/had kind words, I can't even begin to explain how grateful and appreciative I am towards you guys! I just wanted to give everyone who donated an update! As some of you may know, I am a junior that is majoring in Biology at the Sage College of Albany, with hopes of going to grad school to become a Physicians Assistant! I have been accepted into the Atlantis Fellowship program which gives me an unbelievable opportunity to study in Genoa, Italy for 4 weeks this summer. Each student is paired with a hospital, and a team of doctors and surgeons to shadow throughout the internship. In which I have to raise money for to attend. These hours spent in the hospital throughout the 4 week span will count toward the 1000 hours needed for PA school. As most of you know, the past 2 years have been very challenging financially for my family and I, due to certain circumstances with college and my mothers medical issues. 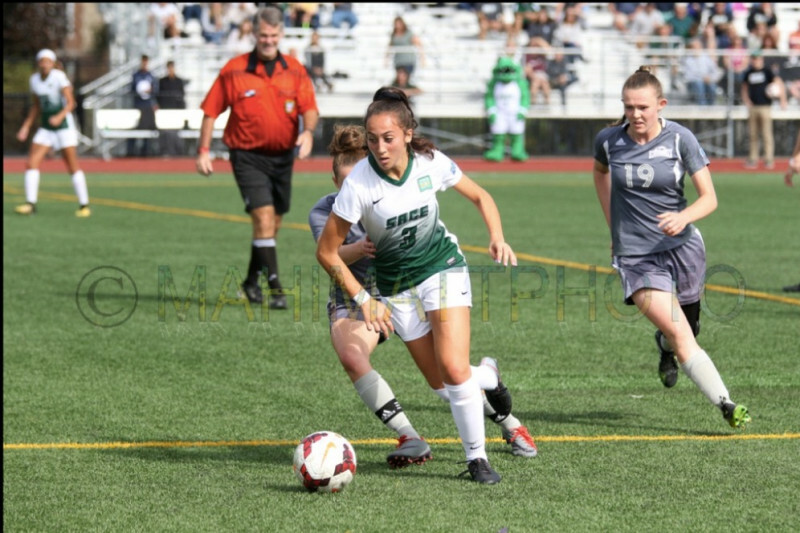 The fact that I am so invested in soccer and going into my final season this fall, going abroad for a short period of time allows me to initiate my clinical experience as well as invest time into my athletic training. Going abroad and studying medicine, which is something I have always been passionate about, allows something on my resumé that is exteremly unique and will only open many more doors in the future. Because of applying so late, it has left me with a short amount of time to raise the funds needed. The deadline to achieve my goal of raising $6,000, is March 2, 2018. Any and all gifts, whatever the size, would be so greatly appreciated. I am very grateful and appreciative toward anyone who took the time to read this and consider investing in this medical opportunity.